Saturday September 17th sees the launch of the much anticipated second edition of Bolt Action. All the stores listed will have the new rules on the launch day, along with the limited Patton figure for those stores taking the rule books and special plastic box offer with the starter sets. 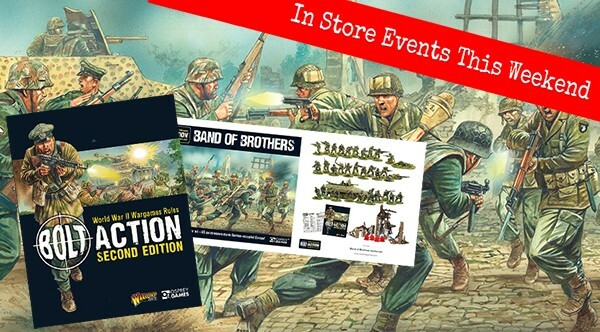 Get down to your local hobby shop and get involved with Bolt Action 2nd Edition on the 17th! See you in your friendly local gaming store on the 17th!